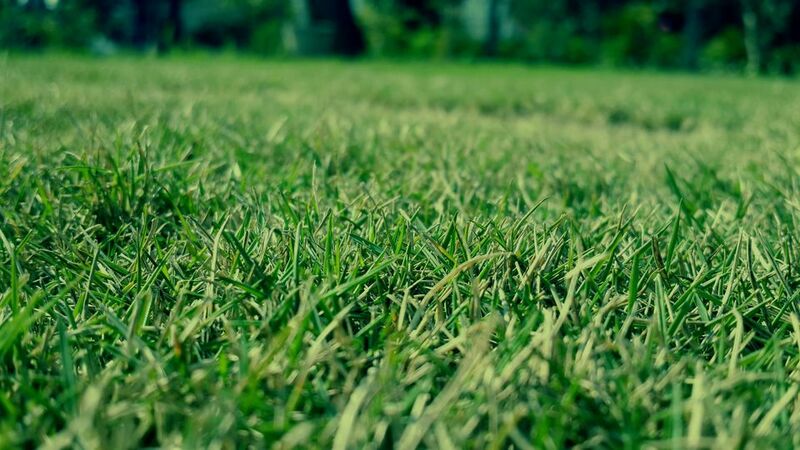 Taller grass often translates to a healthier lawn. It helps to shade the surface of the soil, prevents the soil from drying out, and reduces the need for watering. Shaded soil also makes it harder for weeds to grow. Raising the height of your mower may even lead to taller grass choking out the existing weeds. The ideal target height for northern lawns should be about 3 inches. Lawn owners that use sprinkler systems often make the mistake of using them too much. Overwatering the lawn is wasteful, expensive, and not good for the lawn. Water the lawn when it is not hot outside i.e. early in the morning or late in the evening to ensure that more water makes its way to the roots. The irrigation cycles should be spaced as far apart as possible. It is advisable to top-dress your lawn regularly with a high-quality compost. Compost is a great natural, chemical-free approach for bringing damaged or depleted soil back to life thus resulting in happier plants and stronger root systems. Compost contains beneficial microorganisms that help improve soil texture and structure thus improving air, water, and nutrient retention. Composting regularly is never a replacement for fertilizing. The lawn still requires food once in a while. Getting the soil tested is the best way to know if and how much fertilizer it needs. It can help you determine nutrient excesses and deficiencies, which means that you don’t have to apply fertilizer that you don’t need. Avoid fertilizing simply because you assume the lawn needs it. You don’t have to apply fertilizer more than twice a year. When you do apply the fertilizer, ensure that it is organic fertilizer because it maximizes soil and plant health. Organic fertilizer helps feed the beneficial organisms and replaces valuable nutrients in the lawn. It is also quite safe to use at just about any point during the growing season. Aeration of the soil simply refers to making holes in the ground by removing plugs of soil. It is one of the most important tasks when it comes to maintaining a healthy, green lawn. It helps get rid of the compaction that’s caused by foot traffic thus allowing water, nutrients, and air to enter, which helps the roots to thrive. Aeration of the lawn should be done at least once every year, preferably in the fall. If possible, you can do aeration 2 to 3 times every year. The more times you are able to do it the better. You can hire a lawn aerator at your local equipment rental store. Get an aerator that’s capable of removing plugs of soil instead of one that simply pokes holes in the ground. Or simply contact Beavercreek lawn aerations companies. Thatch refers to a layer of slowly decomposing grass clippings, roots, stems, and debris that accumulates at the surface of the soil over time. It can build up in the lawn and basically choke it to death. Excessive buildup of thatch is usually found in overwatered or overfertilized lawns that have never been aerated. If thatch builds up to a thickness of 0.75-inch or more, it can restrict the penetration of nutrients and water in the soil and may harbor pests thus increasing the need for pesticides. Regular aeration of the soil helps slow down the development of thatch. However, it doesn’t do much when it comes to removing the existing thatch. For this you will need a power rake that essentially ‘lifts’ the thatch from the surface of the soil. The thatch residue is then hand-raked and removed. Removing thatch is hard work, so it is better to prevent the buildup in the first place. Sowing quality grass seed is a better alternative to applying expensive pesticides. Reseeding the lawn every year helps maintain proper turf density and makes it harder for weeds to take hold and grow. Some grass species even release a beneficial chemical into the soil that acts as a natural herbicide that prevents the germination of weeds. You can improve the performance of your lawn by reseeding using genetically improved grass varieties. Newer grass varieties require less watering, mowing, and fertilizer compared to older grasses that you probably have in your lawn. If you have not reseeded in the last 10 years, know that you are long overdue. Just use a fertilizer spreader to broadcast the seed once you finish aerating for the best results. Lawn grass loves the sun. If you strategically trim the lower limbs of trees or strategically remove a few branches, you will give your grass more sunlight. Trimming the trees also helps improve air circulation, which cools the lawn when it is hot and helps reduce lawn diseases. If you have always assumed that chemicals have to be part of your lawn care to achieve a green, healthy lawn, you should by now know that this isn’t the case. If you want to achieve a green, healthy lawn in a chemical-free way, all you have to do is follow the 9 tips discussed here. Happy gardening!